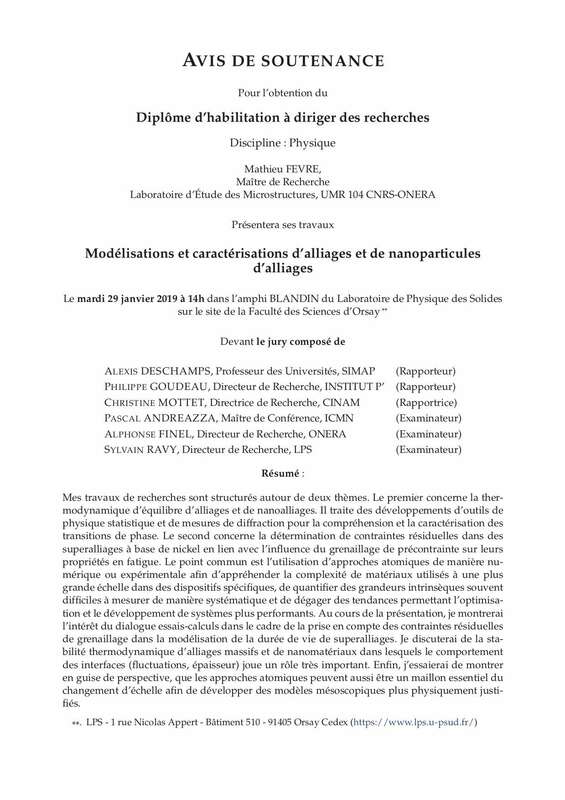 Mathieu Fèvre will defend his HDR thesis entitled “Modelling and characterization of alloys and alloy nanoparticles” in order to obtain the diploma of “Habilitation à Diriger des Recherches”, Tuesday 29th January2019 at 2 p.m., in the BLANDIN amphitheatre of the Laboratoire de Physique des Solides on the site of the Faculté des Sciences d’Orsay (Building 510). The jury will be composed by Pascal ANDREAZZA (ICMN), Alexis DESCHAMPS (SIMAP), Alphonse FINEL (ONERA), Philippe GOUDEAU (INSTITUT P’), Christine MOTTET (CINAM) and Sylvain RAVY (LPS). 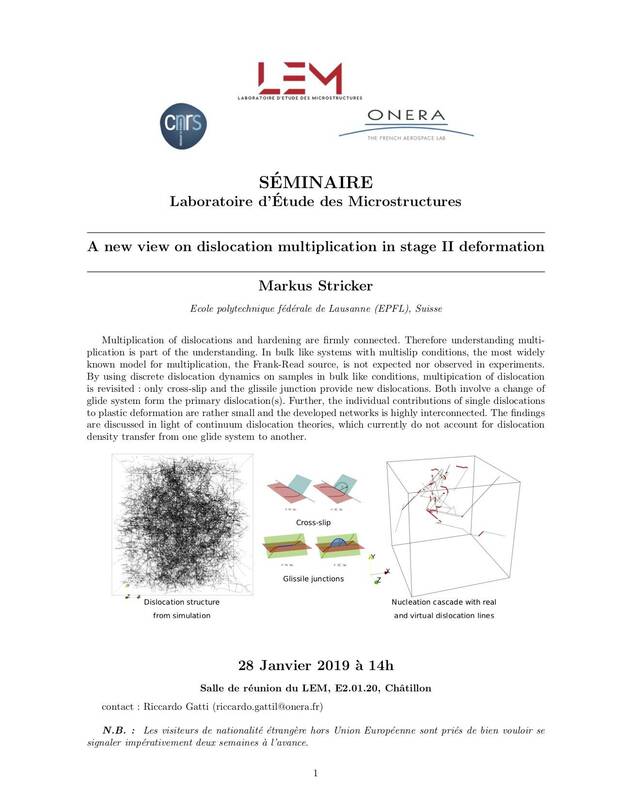 “A new view on dislocation multiplication in Stage II deformation”, Monday 28th January at 14h00, LEM conference room (E2.01.20), Châtillon. 2018, web site created by HA & RG.